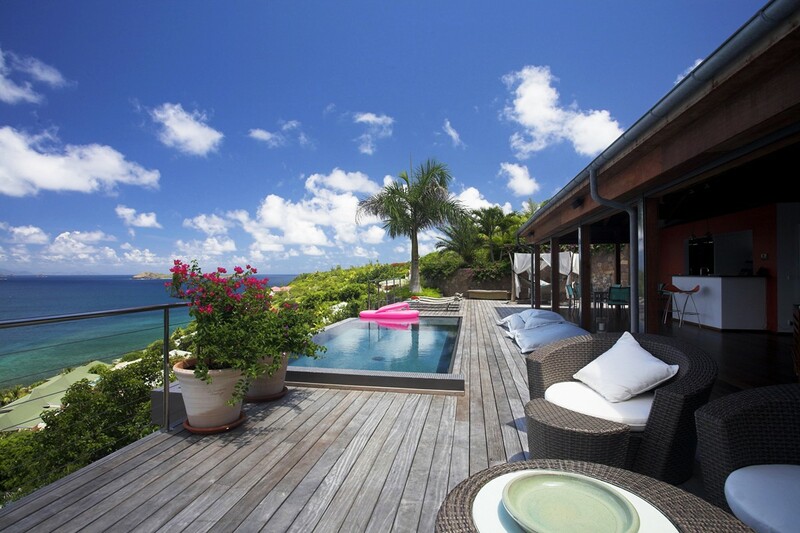 Villa KID St Barts. 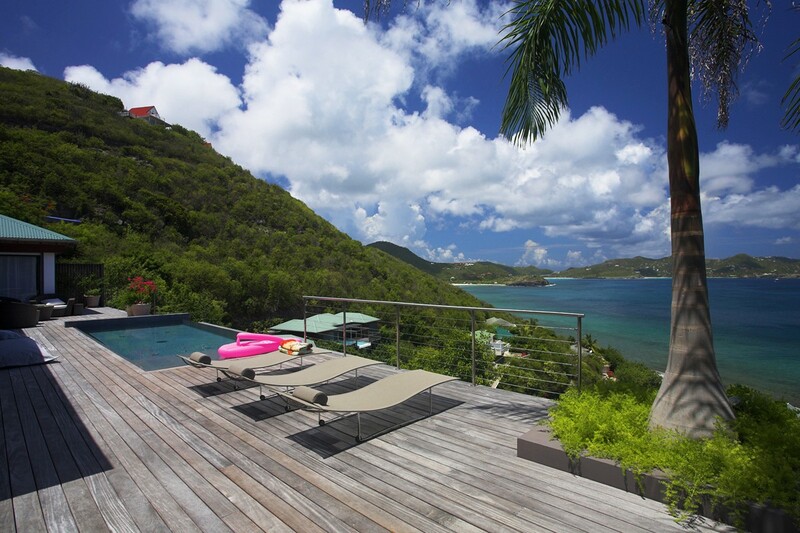 Youthful style and energy pervade the Villa KID on St Barts, and this is how it earned its charming name. 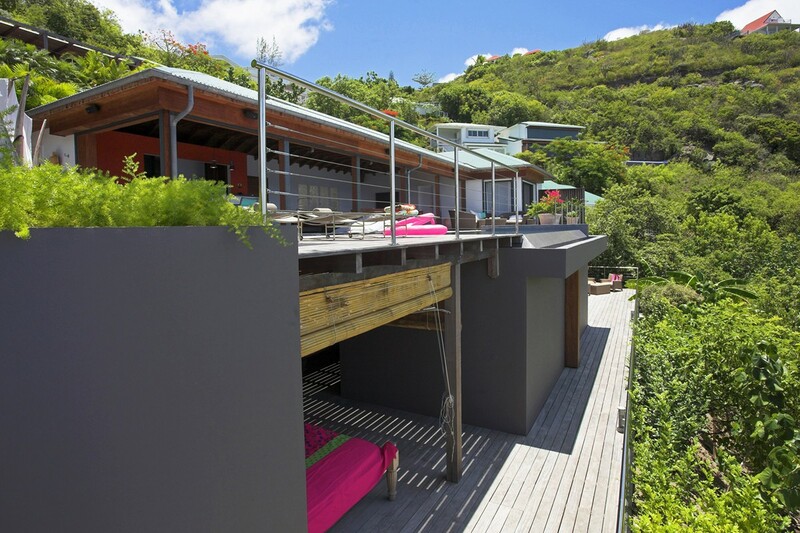 Set in the highly desired Pointe Milou area of St. Barts, the two bedroom villa is packed with color, amazing decor, and such appealing amenities that you may never want to head out to the beach nearby. 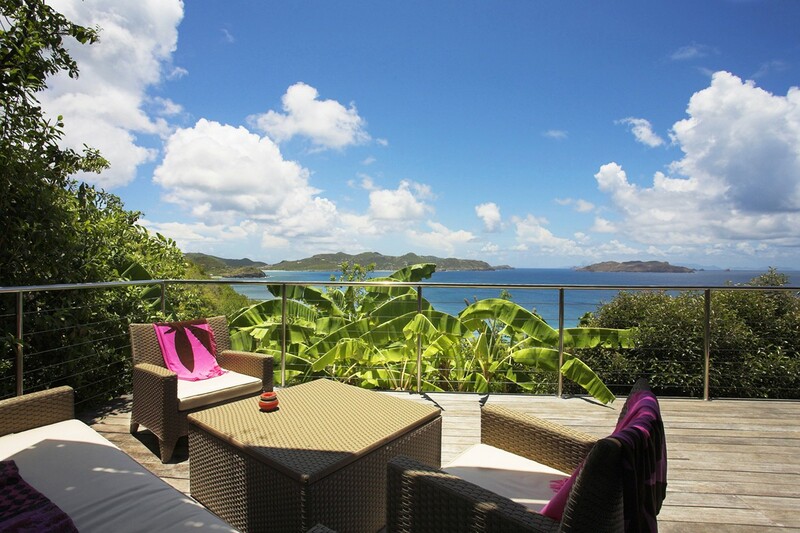 The villa is tucked into a hillside and brings you views of the bay and the islands offshore. 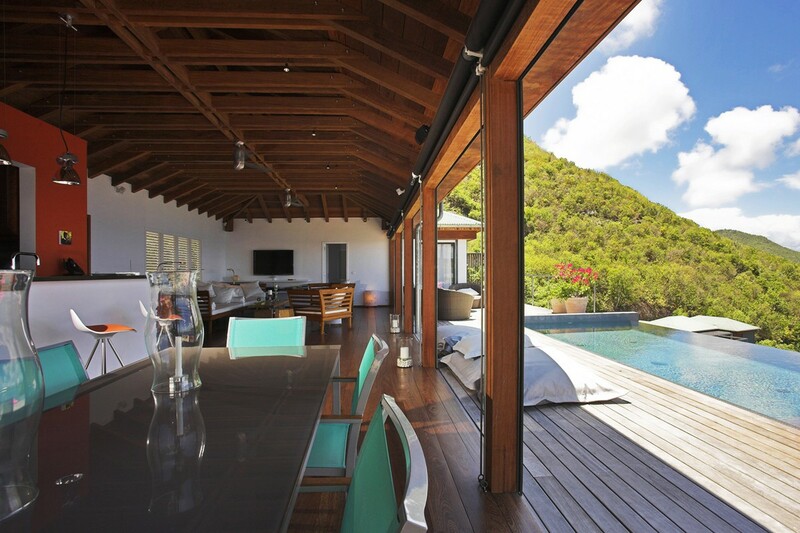 It is divided into two levels and features a stylish infinity pool as the focal point of the large terrace that fronts the entire property. 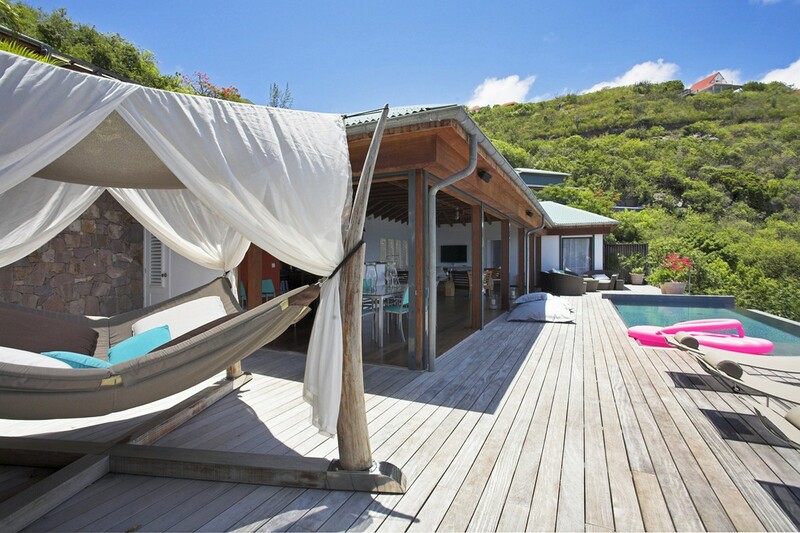 However, this property has been designed with days and nights of leisure in mind, and so there is also a massive, oversized hammock, a covered lounge area, and several spots to while away a sunny day alongside the pool. 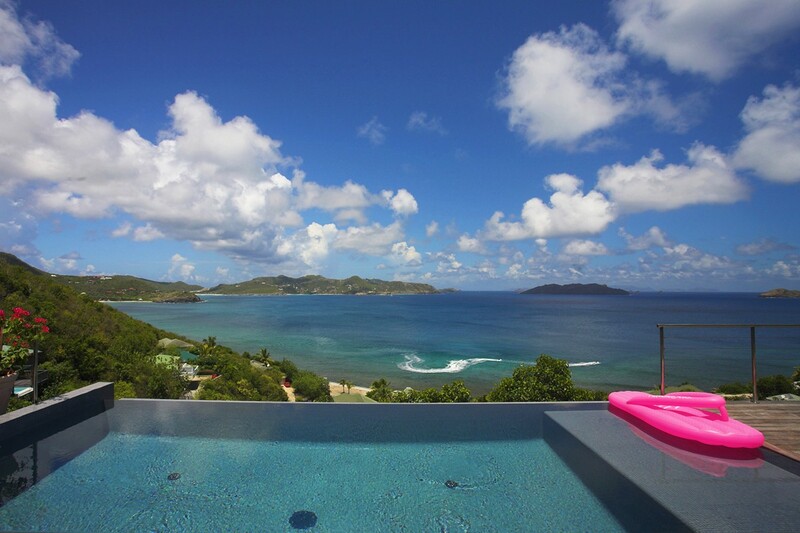 Guests at villa KID will enjoy dramatic sunset views. 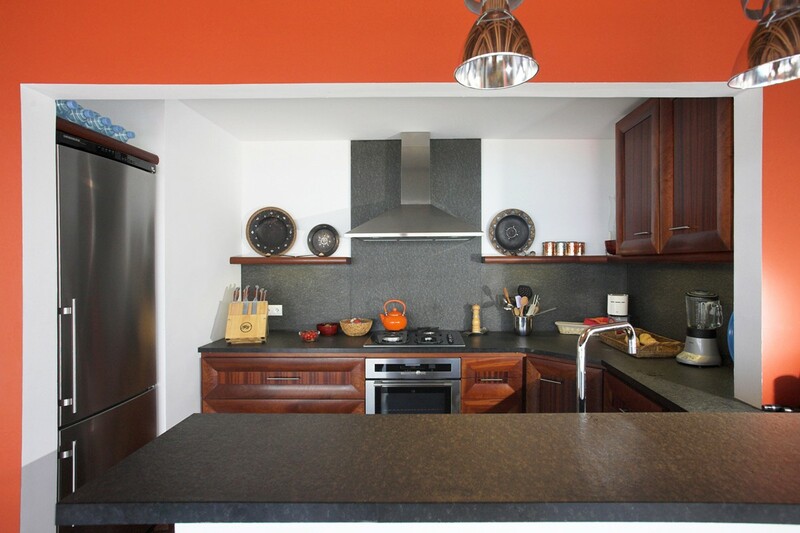 The main level is where shared living spaces are found, and this includes the gourmet kitchen that opens directly to a dining terrace, and never prevents you from enjoying the view thanks to the open walls and spacious design. 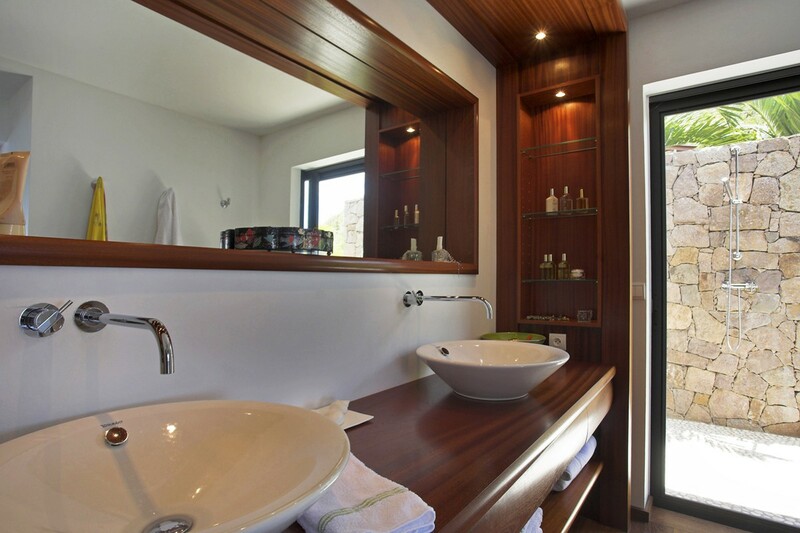 There is also a formal dining area, breakfast bar that also serves as a bar once the sun has set, an al fresco dining area, and living room with Wi-Fi and a full entertainment center. 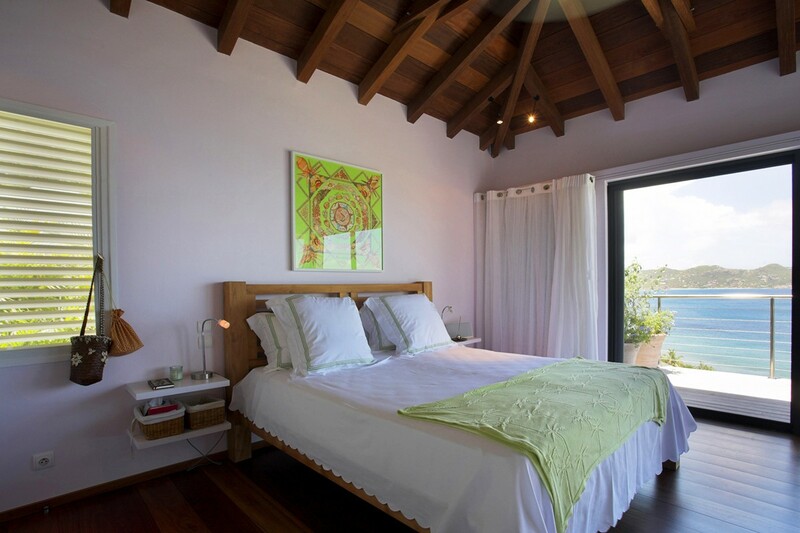 There are two large bedrooms, each with en suite bathrooms, and the first is on the main floor. 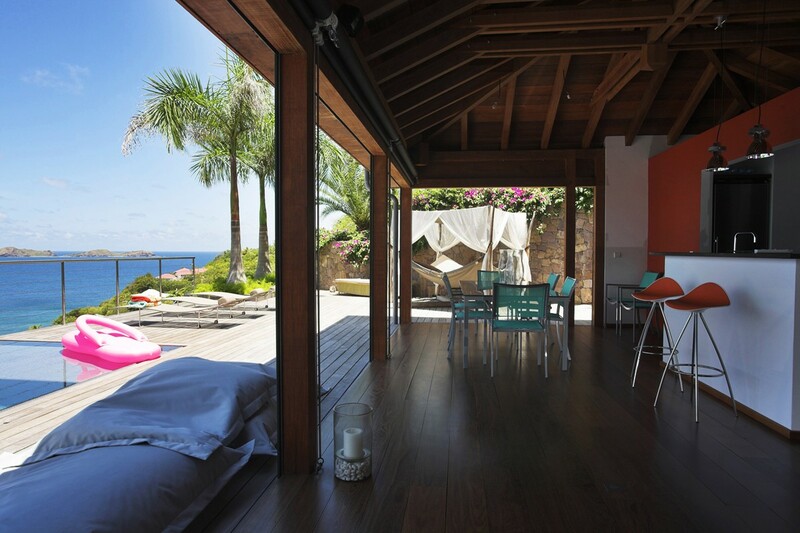 It features an ocean view and outdoor shower. 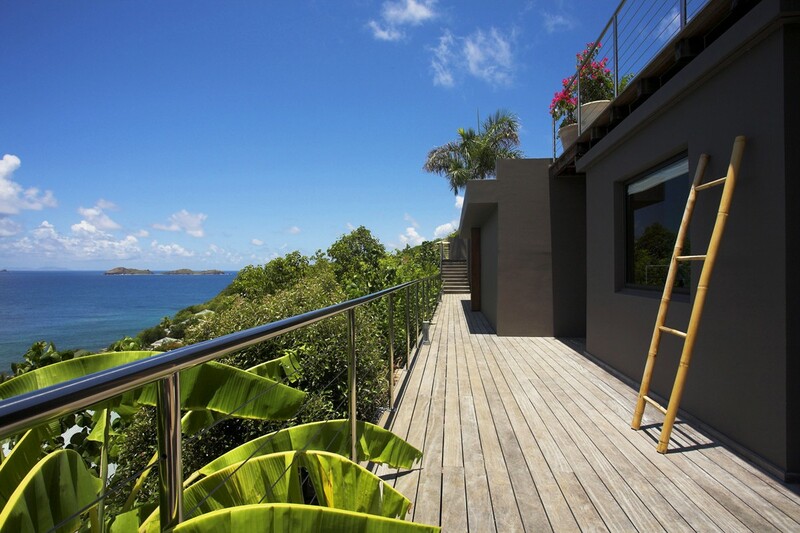 The second bathroom is at the lower level and also has ocean views and a separate living area. 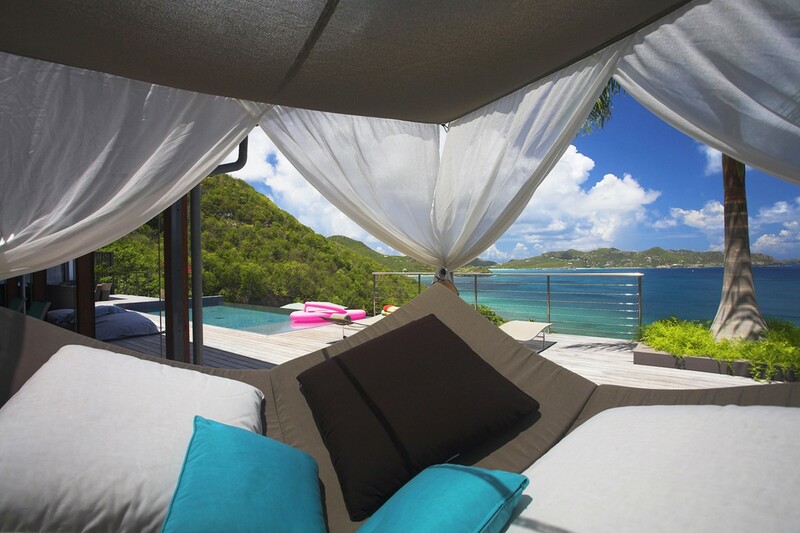 When you are looking for a luxurious and private getaway for yourself or with another couple, the Villa Kid is a perfect location. 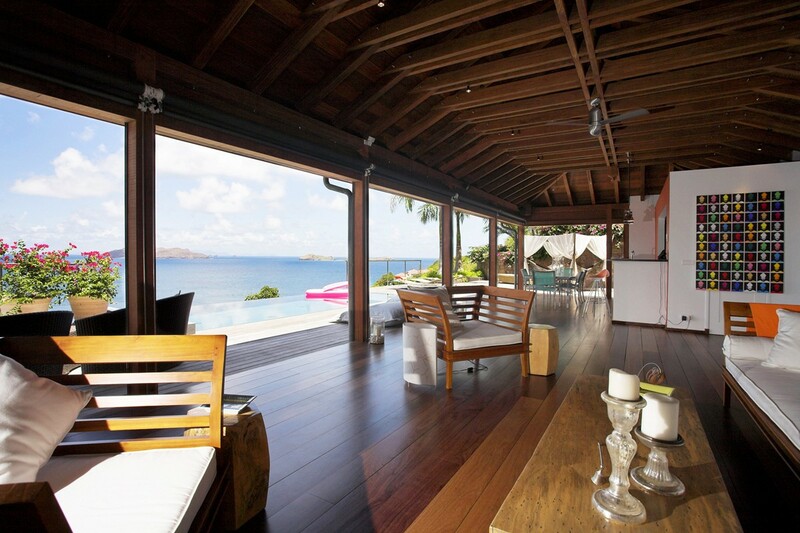 Offering amazing views, the finest amenities, a truly beautiful design and decor, it is a great setting for an unforgettable St. Barts experience. 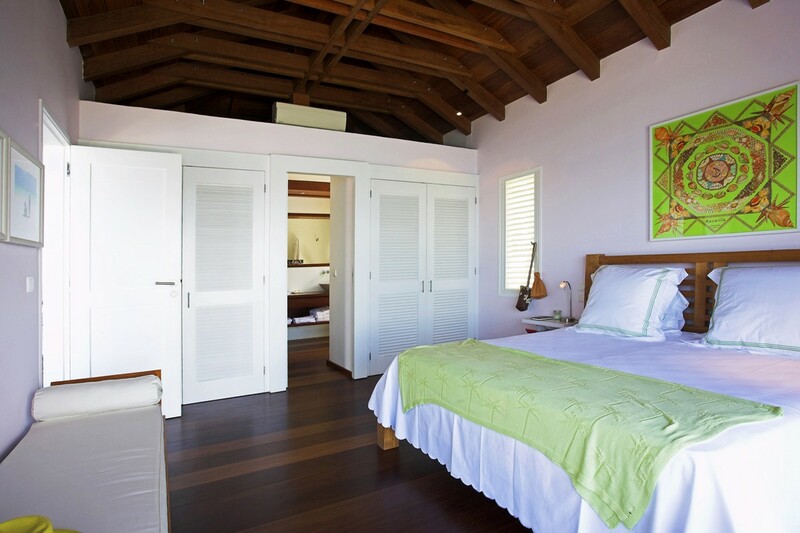 Bedroom 1: King bed, air conditioning, ceiling fan, ensuite bath, in-room safe, iPod docking station, satellite TV, screens. 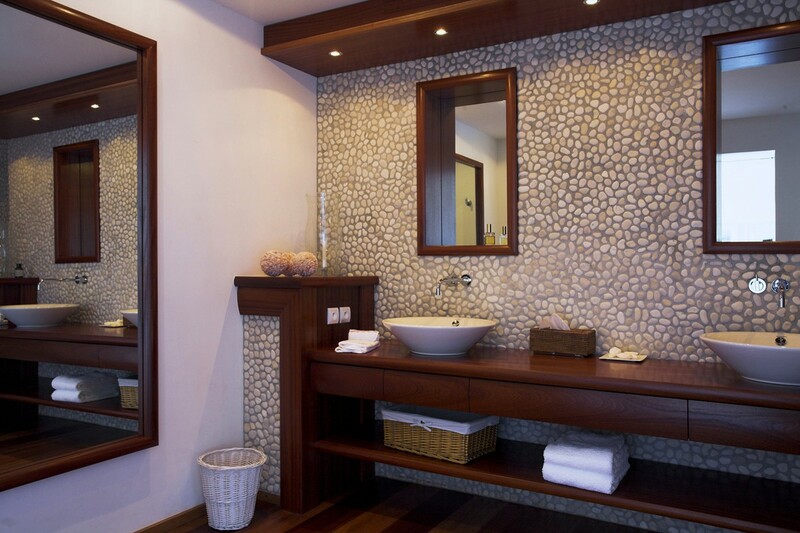 Off the living room with an ocean view, ensuite bathroom w/ double vanity and an outdoor shower. 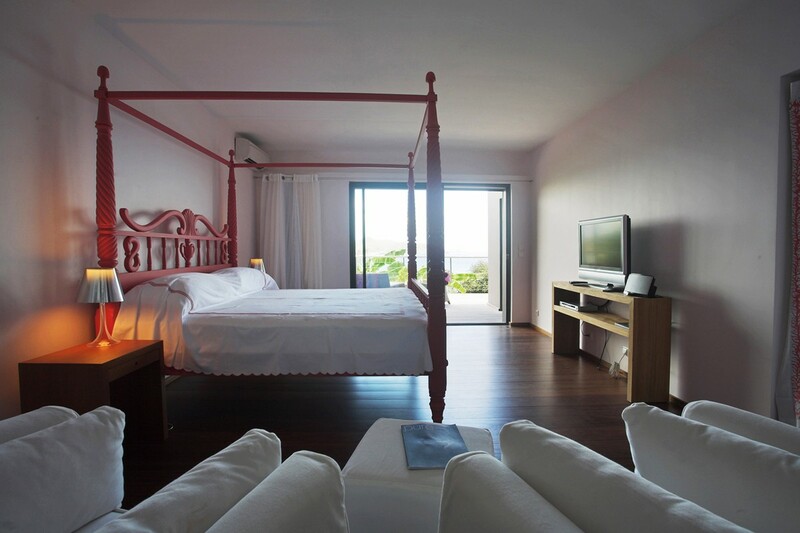 Bedroom 2: King bed, air conditioning, ensuite bath, in-room safe, iPod docking station, satellite TV, screens. 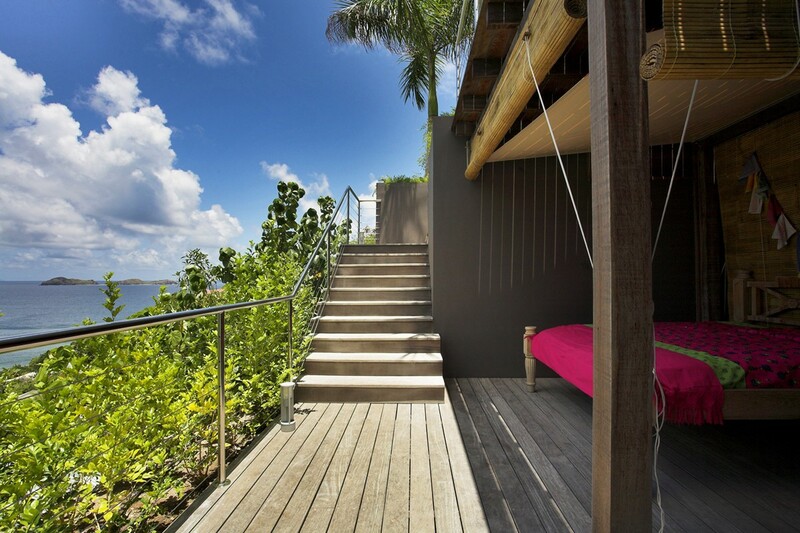 Downstairs, ocean view, 4-poster, ensuite bathroom with double vanity and shower. 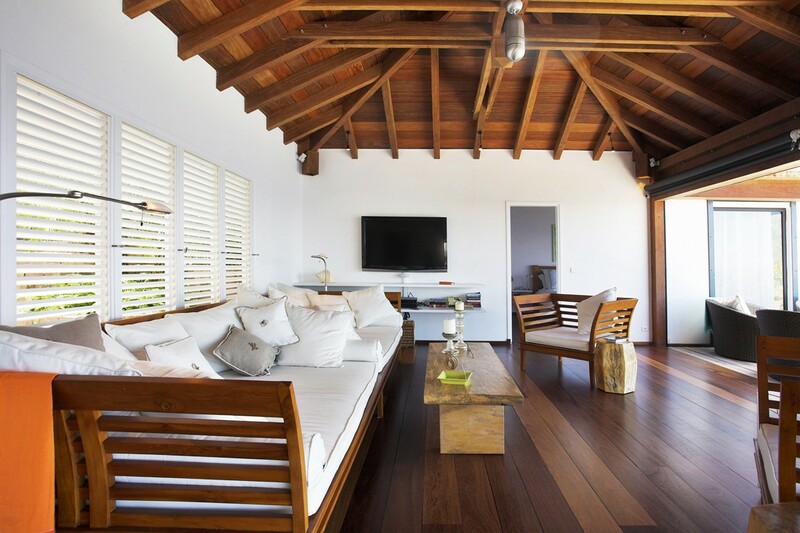 Small living area with 2 armchairs. 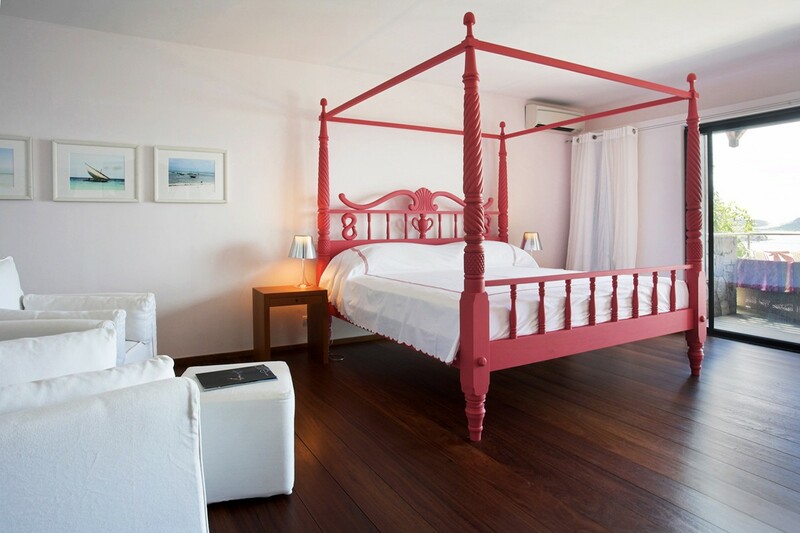 "Just wanted to drop you a quick note and let you know how satisfied and thrilled we were with your services and our recent stay at Villa Acamar! That place was perfect (and amazing)!! 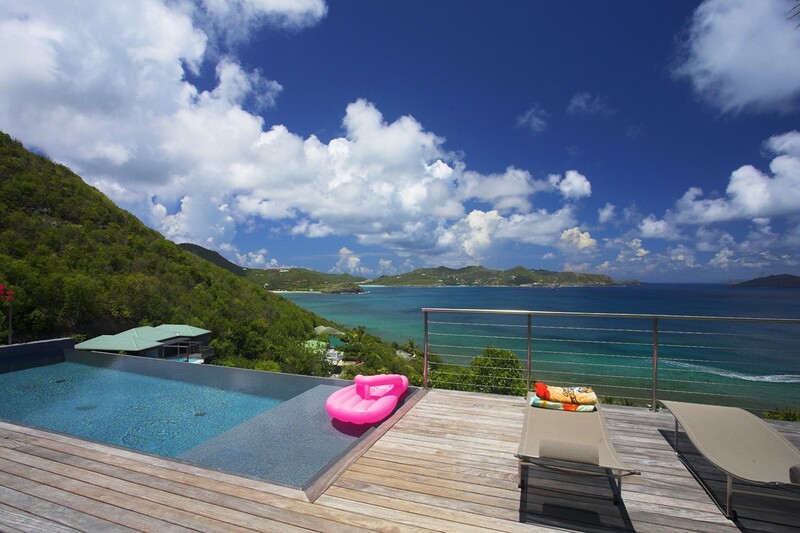 St. Barts is def. a return visit! All of your arrangements went off without a hitch and we will certainly use you again! "